EXCLUSIVE PHOTOS. PHOTO TAKEN BY RICK BAKER. Wallpaper and background images in the How The Grinch Stole Christmas club tagged: the grinch movie jim carrey jim carey 2000 how the grinch stole christmas screencap icon. 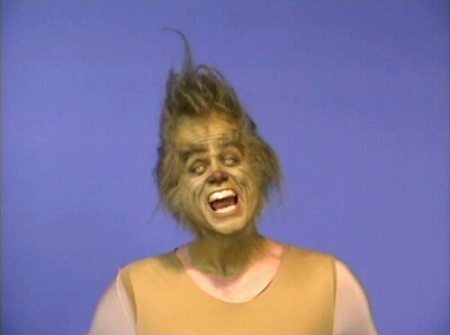 This How The Grinch Stole Christmas photo contains portrait, headshot, and closeup. There might also be attractiveness, appeal, and hotness.